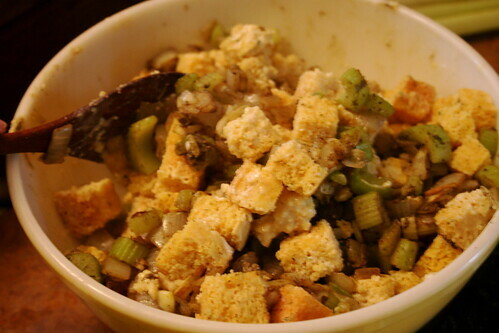 Stuffing or dressing, whichever you prefer to call it, is definitely an important component of the traditional Thanksgiving meal. 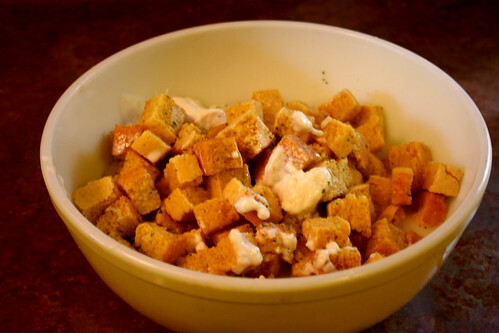 Being gluten-intolerant, however, doesn’t mean that you have to be left out on the savory goodness, or that you have to skimp on flavor. 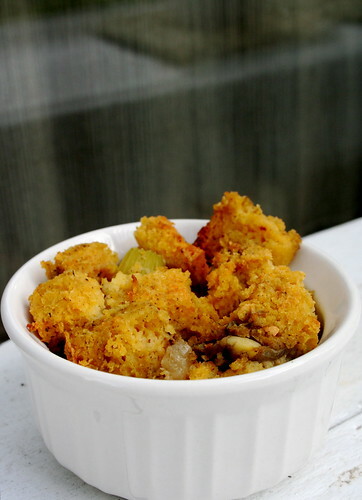 Using a traditional cornbread base–which is already gluten-free–and building in layers of rich and creamy, salty and savory flavors makes this cornbread stuffing an instant hit. Gluten-free or no, vegan or an omnivore, everyone will be coming back for seconds. 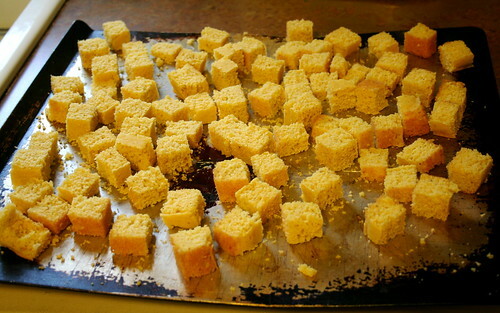 Cut the cornbread into 1/2 inch squares. 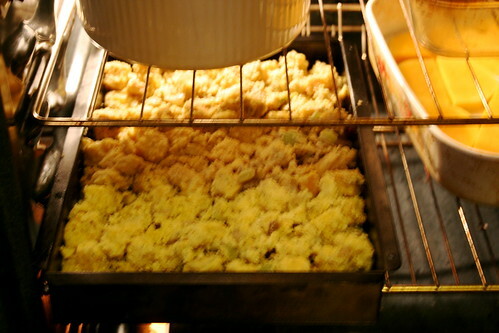 Spread the cornbread squares in an even layer on 2 baking sheets. 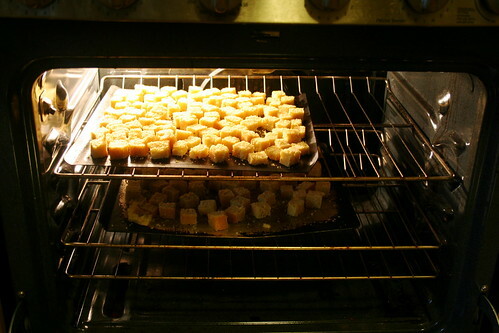 Dry in the oven for 50-60 minutes. 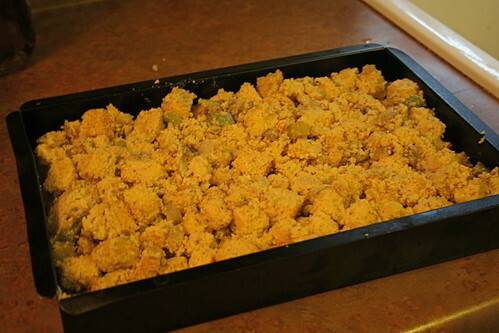 Remove from oven, let cool. 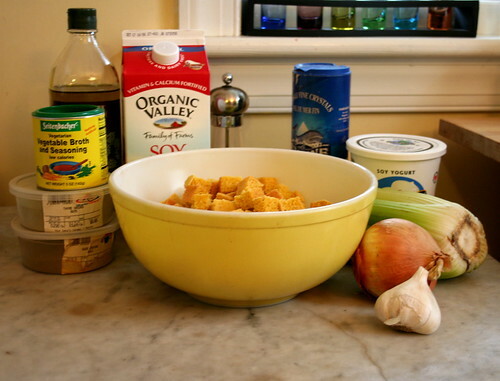 Place the cornbread in a large bowl. 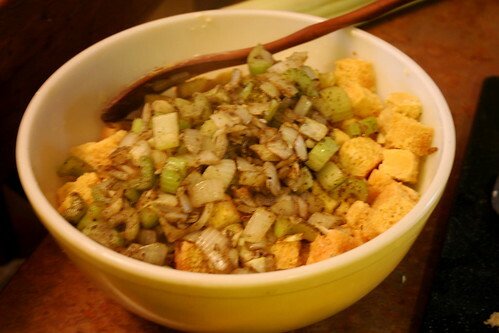 Whisk the vegetable broth, soy milk, and soy yogurt together in a medium bowl; pour over the cornbread. 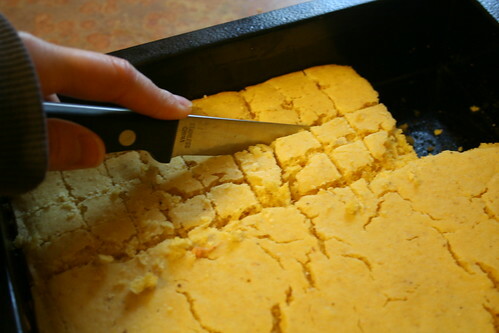 Toss gently (I use my hands to do this) to coat so that the cornbread does not break up. Set aside. 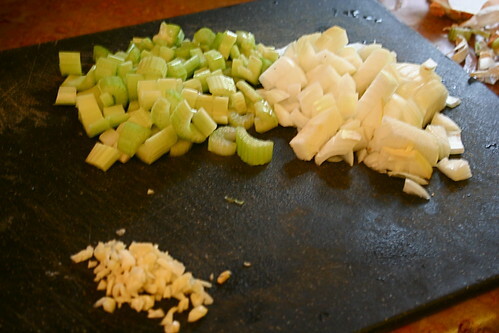 Chop the onion and celery into small pieces. 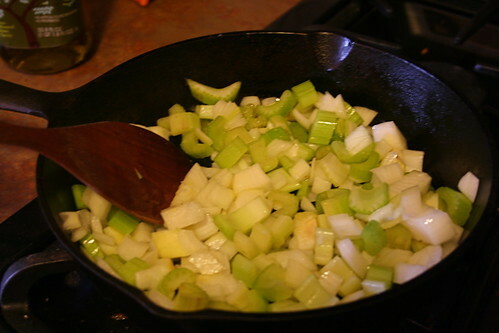 Mince the garlic. 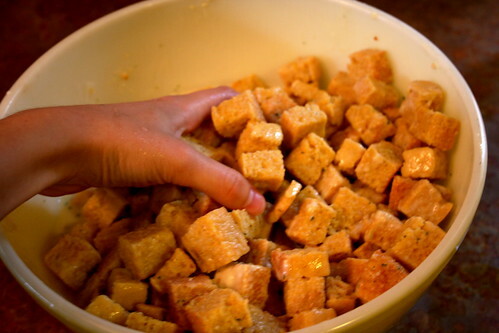 Gently stir to combine so as not to break up cornbread. 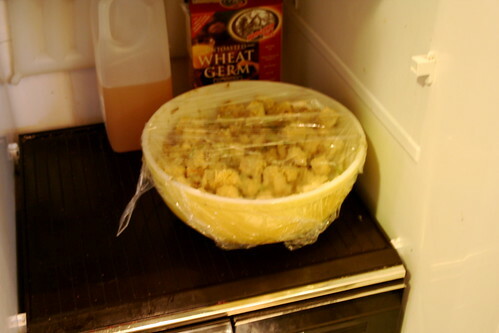 Cover the bowl with plastic wrap and refrigerate to blend the flavors, at least 1 hour or up to 4 hours. Adjust oven rack to lower-middle position. 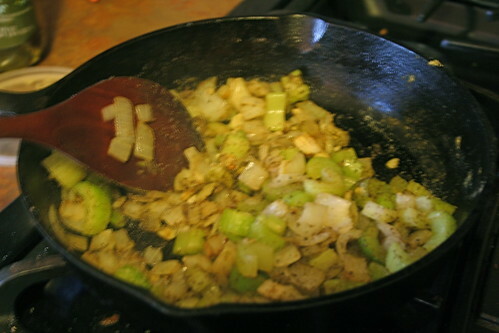 Oil with remaining tbsp of olive oil a 9 x 13 pan or two 9 inch square pans. Preheat oven to 400 degrees.